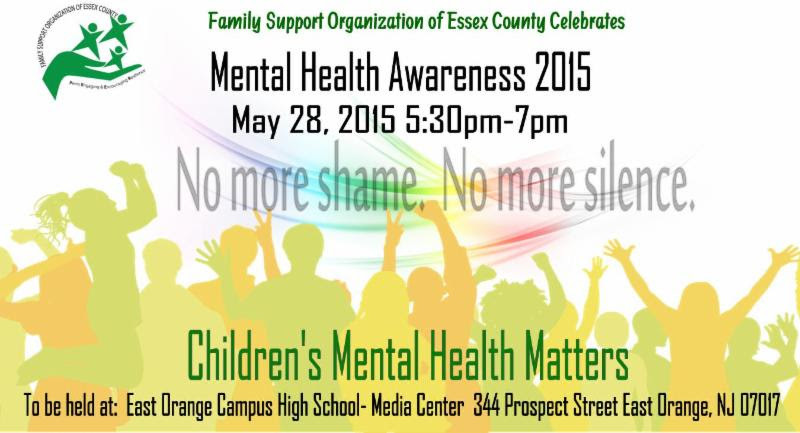 On Thursday May 28, 2015 we will be hosting our Mental Health Awareness Month Event. Family Support Organization of Essex County will honor the youth who have participated in Youth Partnership this year. We extend an invitation to you to attend this event to learn more about who we are, what we do and how you can join us in breaking the silence and reducing the stigma that is associated with mental health challenges. Call now to confirm your attendance at 973-395-1441 ext. 10. BLOOMFIELD SEPAC MEETING – May 20th, at OAKVIEW SCHOOL 7 – 9 P.M.